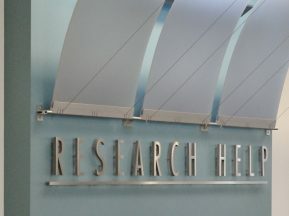 Oak Brook Park District, established in 1962, owns and maintains seven parks. 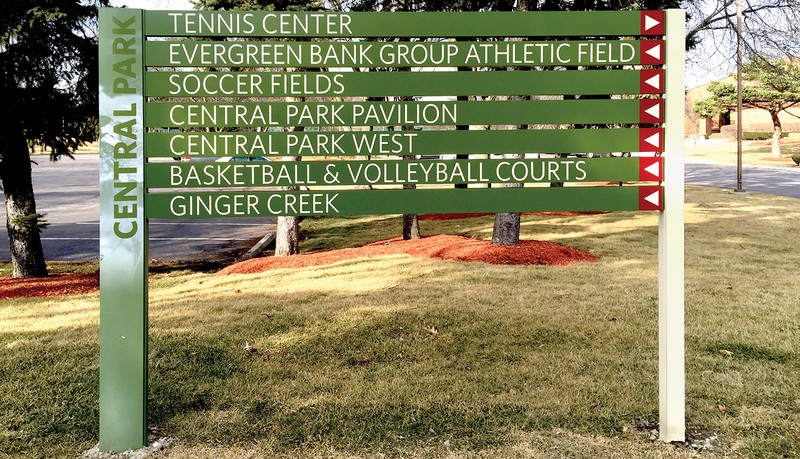 Central Park is home to the District’s Tennis Center, Family Rec Center, Fitness Center, Aquatic Center, Gazebo, administration office, several outdoor athletic fields, playgrounds and a walking and bike path. 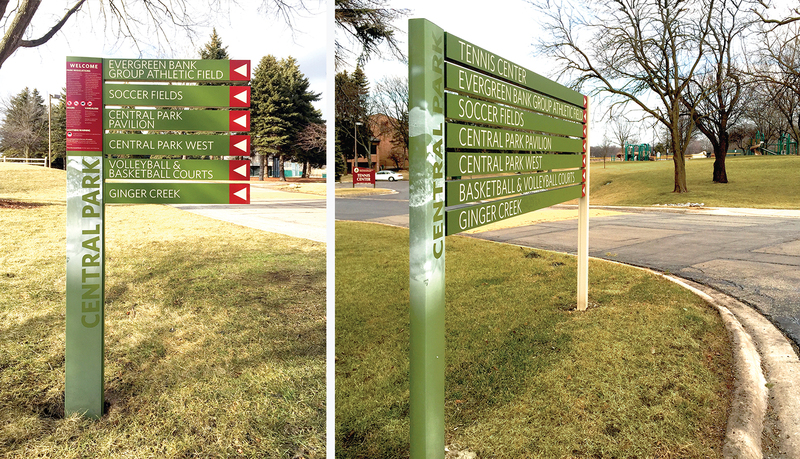 Central Park required a building identification and wayfinding program for a 70+ acre public park, which consists of recreational buildings, athletic fields, playgrounds and walking and bike paths. 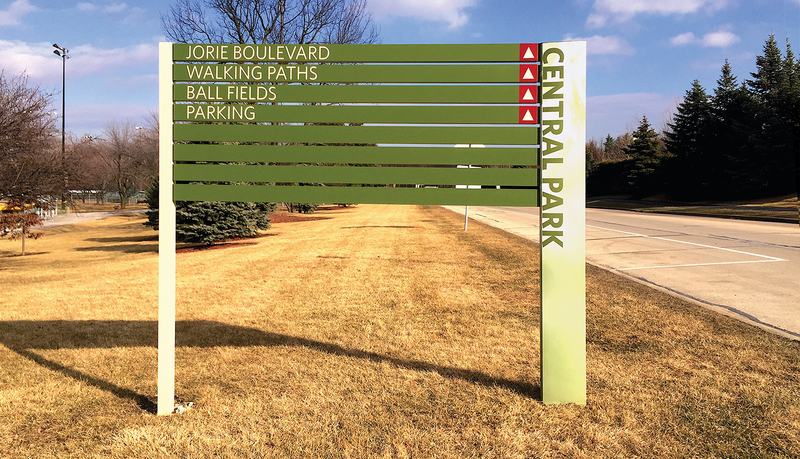 The new sign system needed to be durable, flexible and designed to complement the park surroundings. 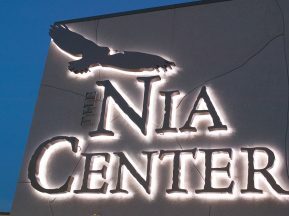 The signage system was designed to display unique graphic images, a bold font for the park name, and focused on natural color tones and nature images that clearly defined the property. 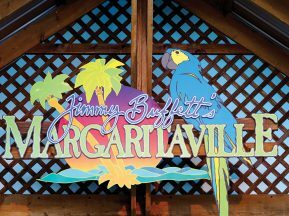 A key feature of the post and panel solution was the use of a trapezoid shaped post with Direct Embed® graphic technology, facilitating the application of permanent imaging onto its contoured dimensional surface. 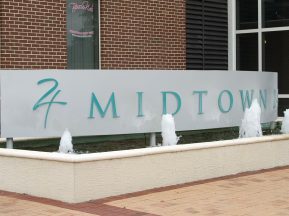 This permanent print-on-panel solution provided both durability and a pleasing aesthetic appeal. The trapezoid posts were mixed and matched with square posts. 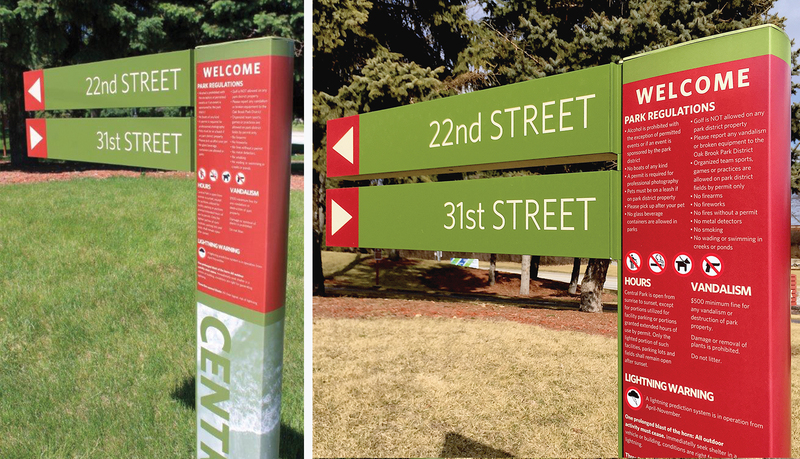 The post and panel solution featured multiple individual stacked text panels, as opposed to a single graphic panel, thus facilitating the easy updating of the information on the signs.